Can you believe that it is July already?!?!?! That means I go back to school at the end of this month. Yes, you read that right. I report back July 27th. Can you believe it is that soon!!! I haven't even crossed off half of my to do list for this summer!!! Today I am linking up with Farley from Oh Boy Fourth Grade for this month's Currently. Loving - We don't get to see hubby that often since he's away for Army schooling for 18 long months!!! I am loving spending a week with him and being a real family again. Sad it has to come to an end soon but only 6 more months until we are all back together for good!!! 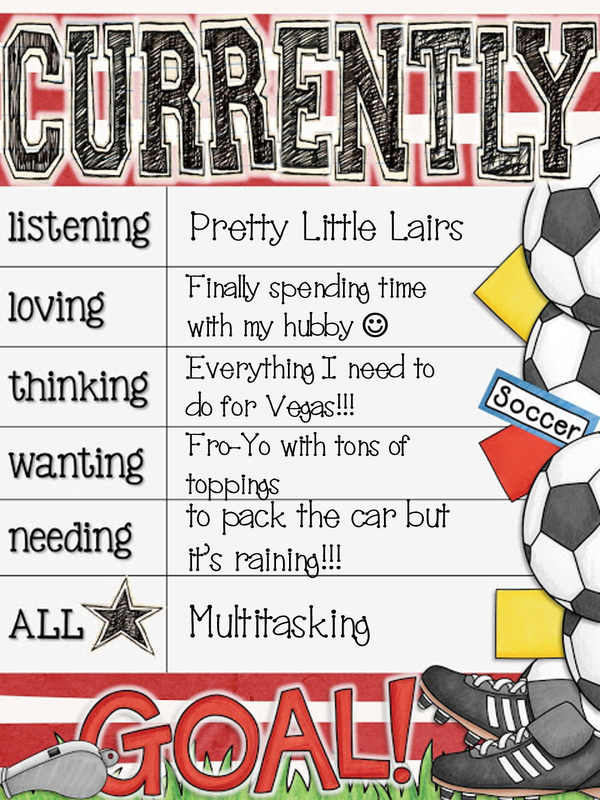 Thinking - There's so much to do to get ready for Vegas!!! I hope I have everything because I am leaving from GA to head to Vegas. I still have to print my slides, organize them, repack my bags, and so much to do and so little time. 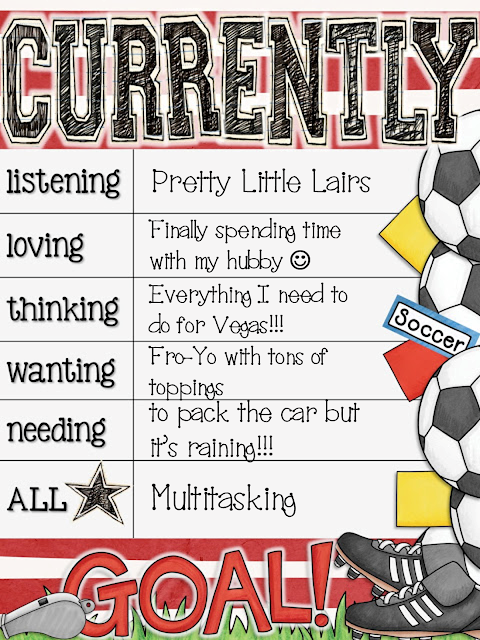 All Star - I am awesome at multitasking, like the master. Not everyone can have a Netflix marathon, while eating Fro-Yo, and blogging, while also checking FB, Instagram, texting a friend, and talking to my mom on the phone. Now that is a serious multitasker master. Ok, ok, it's not Fro-Yo, it's grapes. But a girl can dream right? Ok, seriously guys, I really need to go pack the car so we can get on the road and in to town before dinner. Four hour car ride here I come. And sadly, I'm driving it, no fun.